When most people think of the term “financial advisor,” they probably think of someone who works for a large firm and helps clients manage their mega-investments. It sounds like a service that’s only for the wealthy. But the term isn’t an official title, there’s a lot of variation in what a financial advisor does, and it’s not just for the super wealthy. Some financial advisors are certified planners who help people plan for retirement, some are enrolled agents who help people with their taxes, and some are general financial planners who only help people control their money. You’ll even hear the term within “robo-advisors” who invest client money based on mathematical rules or algorithms – with almost no human interaction. 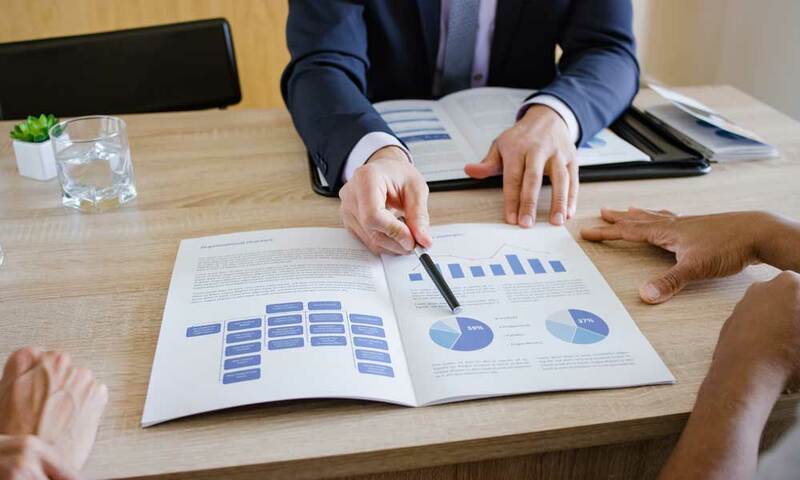 Choosing a financial advisor is an important decision, as this is someone who will know some very personal financial information about you, and will likely dig deep into your spending and saving habits. Even though it’s an important decision, most people have no idea where to start looking for and how to choose a financial advisor. This choice can seem like an overwhelming decision, but if you take the time to think about what you’re looking for, you can find the perfect advisor for your financial needs. Here’s how to make the best decision. Perhaps the frequent question people have about their financial advisor is regarding how they get paid. It’s an easy question, but there’s not an easy answer. Financial advisors can get paid several ways – through commissions, sales charges, a fee for each time you meet, through a combination of those things, or through a basic salary plus bonuses. In most cases, a financial advisor is paid one of two ways. The advisor receives a percentage of your investment (called a sales charge or sales load) off the top when you initially invest (usually two or three percent), or they get what’s called a trail, a percentage of the operating expenses the fund has every year. It’s important to understand how your financial advisor is paid because that directly impacts how they handle your money. Some financial advisors have a vested interest in choosing one investment over another. It’s not that these advisors are giving inappropriate advice for each client, but it would be easy to inadvertently steer their clients toward one investment that gives them a bigger commission over another, regardless of whether it’s the best fit for the customer. If you use a commission-based advisor, financial experts recommend that you make sure they’re a fiduciary – an investment professional who is legally obligated to act in the client’s best interest. What qualifications/certifications should a financial advisor have? In addition to making sure they’re a fiduciary, there are a few other qualifications you can look for in a financial advisor. A certification called known as CFP (Certified Financial Planner) is the industry’s top certification. To earn this designation, advisors must take specific classes, pass a six-hour exam, and have at least three years direct experience. The CFP also requires at least 30 hours of continuing education every two years. Beyond their certifications, it’s also important to find out how you’ll communicate with your advisor. 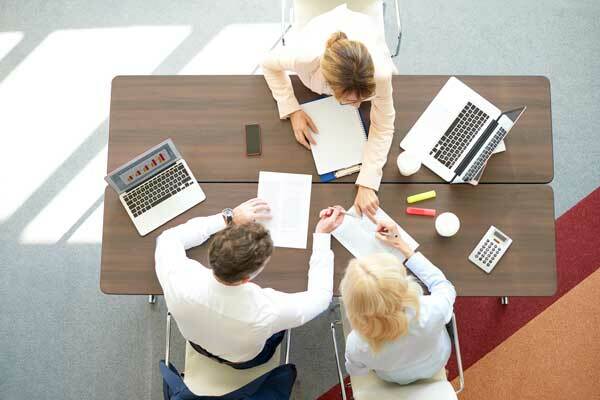 Some advisors have just one meeting a year with their clients to see where things stand while some prefer a more ongoing approach throughout the year. Some advisors are just a phone call away no matter what while some leave the day-to-day client services to someone else. The ideal financial advisor is someone who helps you manage your investments professionally but communicates with you to educate so you could handle things on your own if you needed to. If you never understand what your advisor is talking about or what they’re doing with your money, you likely need a new advisor. Everything is going digital these days, and your retirement and other investments are no different. Recent years have seen a significant upswing in the digital advisor, something that people often confuse with a robo-advisor. But the two are actually on opposite ends of the spectrum. A digital advisor is similar to a traditional financial advisor, but communicate with you electronically. A digital advisor adds a human element to your investments (opposed to a robo-advisor’s algorithmic approach) but does so primarily through chat or other online communication. Digital advisors let investors get a professionally tailored plan for their specific situation, but with the ease of digital communication. There’s no need to wait for a yearly appointment to reassess your finances. In fact, if you use a digital advisor, you’ll probably never have a face-to-face meeting with the person who helps you manage your money. If you don’t mind online-only communication, a digital advisor may be your best bet. But if you like meeting someone in person, you’ll want to stick with a more traditional service. Are you a fiduciary? This is possibly the most important question you can ask your potential financial advisor. Fiduciaries will have your best interests at heart because they aren’t motivated by a sales commission or other type of payment incentives. How do you get paid? Most fiduciaries charge a simple management fee. Other people, like brokers, can charge commission fees and various hidden fees like services charges or broker administrative fees. How does your use of technology benefit me? Some investors still manage portfolios the old-school way, based on questionnaires or survey answers. You’ll want to make sure your financial advisor is staying on top of new financial information regularly. Will you help with my taxes? Make sure your financial advisor also offers to help you optimize your portfolio for tax purposes. Making sure your portfolio is tax efficient will maximize your returns. You can probably manage your finances on your own, but if you don’t have the proper training, it’s unlikely that you will make decisions to maximize your financial plan. For most people, it’s best to trust a professional. It might sound crazy to give up part of your hard earned income just for advice, but in the majority of cases, you’ll make back anything you pay for professional advisement in increased returns. And when you consider that you’re dealing with hundreds of thousands of dollars, your retirement, your children’s future and your all-around financial well being, it’s worth the cost.